The magnitude of vibrancy displayed through this colourful scene of Victoria’s Fisherman’s Wharf is so perfectly captured in Totororo.Roro’s photograph, it has us wishing we were there. 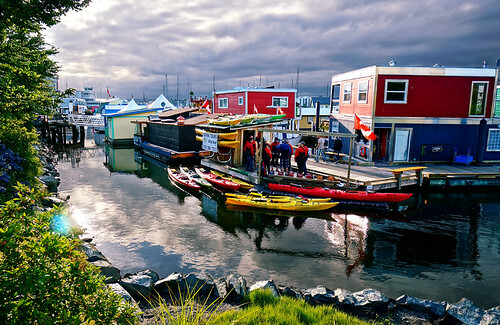 The wharf is home to many different dining stands, marine tours and residents; it’s a floating playground for seafood lovers dream and a photographers. We chose this photo because it displays various types of techniques and colours, and it uses optimal framing to ensure that the each level adds something unique to the photo. Submit your Canadian travel photo to our Flickr Group and we will consider it for inclusion in our Photo Friday series on Where.ca! We’ll credit you and link to your photo.